Dubrovnik is a town with many museums and those who would like to learn more about Dubrovnik's rich history and culture should definitely visit them. They are all situated withing City walls and you will for sure enjoy exploring them while in Dubrovnik. Take advantage of Dubrovnik Card and save on museum tickets by purchasing it. Etnographic museum is housed in the building of the Dubrovnik Republic' granary, knows as Rupe. The holdings of the Etnographic Museum of Dubrovnik have some six thousands five hundred objects of the ethnographic heritage of the Dubrovnik region (Dubrovacko Primorje, the Elaphite islands, Konavle, Mljet, Lastovo, Peljesac, Korcula, Rijeka Dubrovacka and Zupa Dubrovacka), the Croatian people and the nations of the surrounding states. The Cultural History Museum in Dubrovnik consists of about ten thousand objects systematised into fifteen collections featuring paintings, printmaking, furniture, textiles, ceramics, metals, icons, glass, photographs and photographic materials, documents, postcards, old weapony and numismatics. The permanents display is housed in the Rector's Palace. In the past the Republic of Ragusa was one of the leading navies in the world. 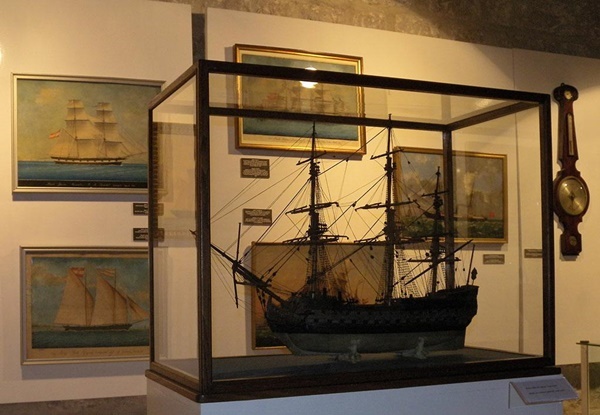 If you wish to explore this part of Dubrovnik's history, you should visit the Maritime Museum. It was founded in 1949 and it is located in the St John's Fortress in the old city harbour. The museum holds a great variety of written documents, old editions and books, pictures of ships, parts of equipments, ship's instruments and much more. Dubrovnik Maritime museum is believed to be the richest one in Croatia. The Dubrovnik Natural History Museum was founded in 1872 by the apothecary Antun Drobac, who built it around his own private collection. This museum owns some extraordinary valuable exhibits, as algae herbarium collected by naturalists Matija Botteri and Marija de Cattani. Here you can discover a range of paleontological, prehistoric and anthropologic artefacts as well as rare mineralogy pieces. Homeland war museum is located on the ground floor of the Imperial fort on the Mount of Srdj and the easiest way to reach it is to take a cable car ride. The museum has around 500 showpieces from the period 1991 to 1995. Here you can see documents, photographs, weapons, war maps, part of military equipment from the period of the Homeland war in Dubrovnik.